Well, I have less stuff now, right? When I came out in October, it was a beautiful late fall- with the trees in full color and a fresh loamy smell in the air. 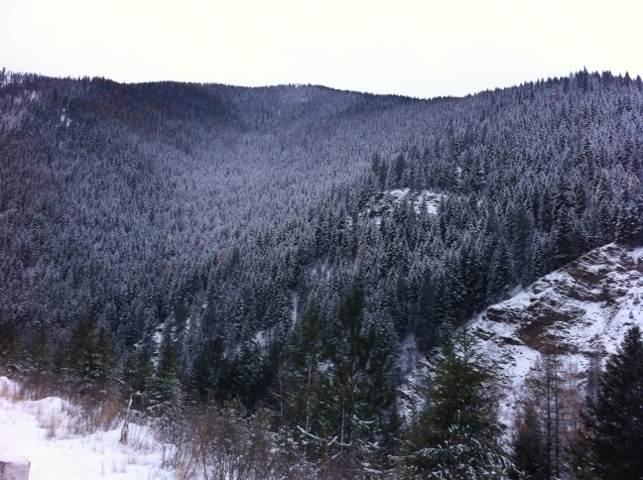 It feels a lot more like winter these days, and the snow on the ground has me excited to get back in my skiboots. Just a few more inches before it's ripe to huck the cliff. Great views coming down the pass into Montana. I was very pleased to cover both mountain passes (on either side of Idaho) in daylight, and clear conditions. There is much to be thankful for and I am really excited to work on re-making a productive life for myself. More on those plans in the next few days, but for the moment I’m pretty tired. 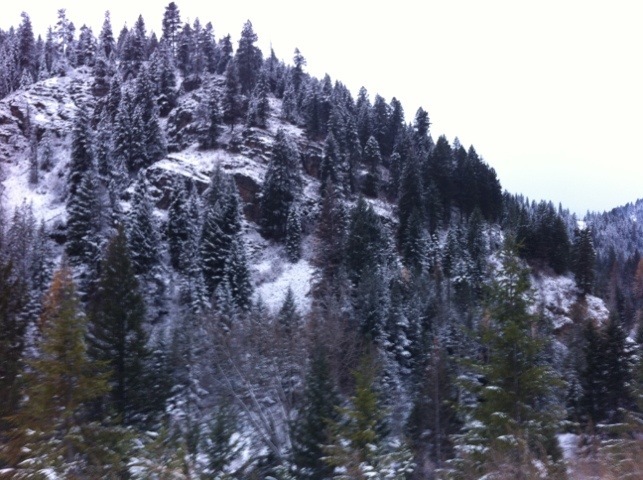 This entry was posted in Missoula, Traveling on November 16, 2011 by sticker1.